General purpose of this lecture is presentation on Object Oriented Databases of database systems. 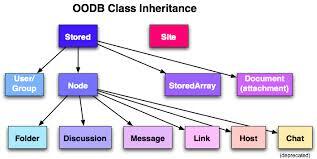 Object oriented databases can also be called Object Databases Management Systems (ODBMS). Object databases store objects in lieu of data such since integers, strings or real numbers. Objects are employed in object oriented languages such as Smalltalk, C++, Java, and others. This lecture briefly focus on what basic concepts govern OO systems and how OO features are related to the more traditional relational and E-R models. Finally explain about the advantages and disadvantages of OODBMSs and what the basic features of an OO database management system (OODBMS) are.